J.J. McAvoy has weaved together a story of love, hate, deceit, and mystery. This is a true page-turner; once you start, you won’t want to put it down. One of the most unique things about The Untouchables was the multiple POVs we are given throughout this story. J.J. McAvoy picked the right POV for what was needed at that exact moment in the story. I haven’t experienced a book that was able to intertwine multiple POVs in one chapter the way that J.J. did. I wasn’t just Liam or Melody, I was the main character needed for that situation. I was never once confused or looking for the main character’s POV. I was happy and content with the POV I was living when reading that specific chapter. The ability to pull this off in such a clean fashion really is a testament to the writing of this book. Each chapter starts with a quote that builds anticipation into what is going to unfold in that chapter. As I got into the story, I started looking forward to the chapter quotes as much as I did the next chapter. J. J. McAvoy knows how to not just write a story but to create an environment that pulls the reader in before the chapter even starts. At this point you should know that this is the 2nd book in what’s going to be a three book series. Don’t let that stop you from reading The Untouchables. The book ends exactly where it needs to end. Have no fear, you will feel the same way. Had J.J. McAvoy pushed book three into The Untouchables, it wouldn’t have worked. 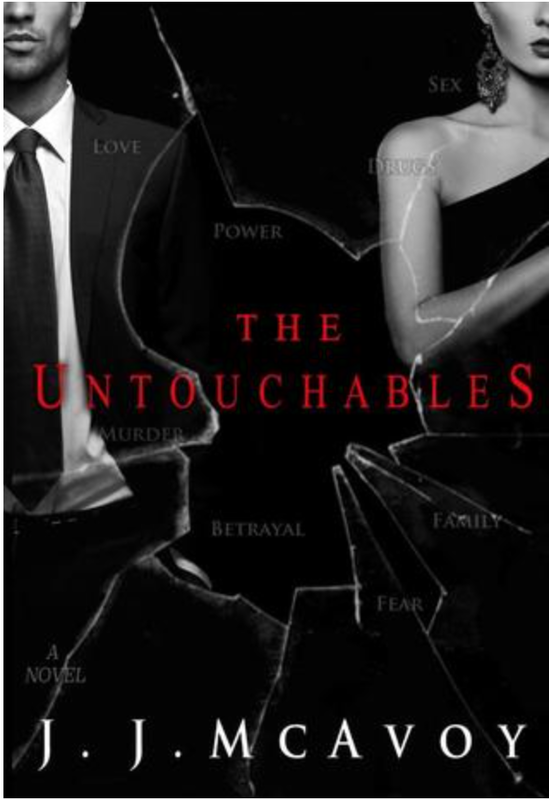 The Untouchables has so many layers to the overall story that it couldn’t have handled more; if had it had more, it would have taken away from what this book gives. If you’re a fan of the mafia storyline, you won’t want to miss this one! The reason I’m giving this book four stars instead of five is because of the editing. It’s not a major problem but grammar issues do happen, and it’s the only thing that stopped me from giving it five stars.